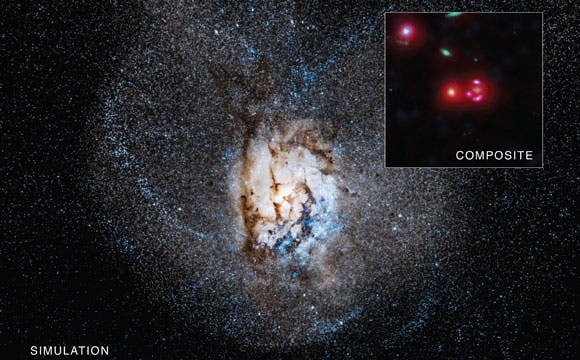 A recently discovered galaxy is undergoing an extraordinary boom of stellar construction, revealed by a group of astronomers led by University of Florida graduate student Jingzhe Ma using NASA’s Chandra X-Ray Observatory. The galaxy known as SPT 0346?52 is 12.7 billion light years from Earth, seen at a critical stage in the evolution of galaxies about a billion years after the Big Bang. 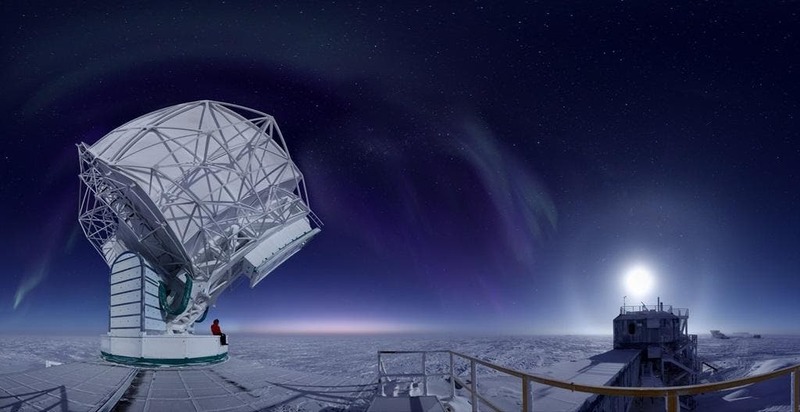 Astronomers first discovered SPT034652 with the National Science Foundation’s South Pole Telescope, then observed it with space and ground-based telescopes. Data from the NSF/ESO Atacama Large Millimeter/submillimeter Array in Chile revealed extremely bright infrared emission, suggesting that the galaxy is undergoing a tremendous burst of star birth. However, an alternative explanation remained: Was much of the infrared emission instead caused by a rapidly growing supermassive black hole at the galaxy’s center? Gas falling towards the black hole would become much hotter and brighter, causing surrounding dust and gas to glow in infrared light. To explore this possibility, researchers used NASA’s Chandra X?ray Observatory and CSIRO’s Australia Telescope Compact Array, a radio telescope. No X?rays or radio waves were detected, so astronomers were able to rule out a black hole being responsible for most of the bright infrared light. Astronomers hope that by studying more galaxies like SPT0346?52 they will learn more about the formation and growth of massive galaxies and the supermassive black holes at their centers. SPT0346?52 is part of a population of strong gravitationally-lensed galaxies discovered with the SPT. It appears about six times brighter than it would without gravitational lensing, which enables astronomers to see more details than would otherwise be possible.